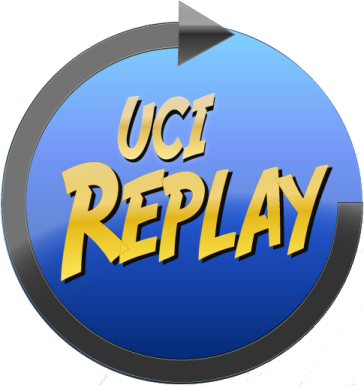 UCI Replay is a new service provided by the Office of Information Technology to facilitate the recording and sharing of classes, seminar presentations, short tutorial segments, and any other material which can be displayed on a computer screen with accompanying audio. Seminars, special speaker presentations, and conference sessions can also be captured and shared. Other ways of taking advantage of this service include screen and audio capture of virtually anything that can be displayed on a computer screen together with whatever voice-over matches the visual presentation. There is no charge to host recordings. The recording software is free to use and the choice is yours as to whether recordings should be public or UCI-only. All you need is an inexpensive USB microphone to capture the audio portion. Alternatively, a notebook computer (Mac or PC) with a built-in microphone may also be used for recording. SmartClassrooms are already equipped for the use of UCI Replay. A portable version can be run directly from a USB thumbdrive, requiring no software installation on the computer being used. Use of UCI Replay automatically transfers your materials to a system which packages it in a format suitable for viewing and listening using a web browser such as Internet Explorer, Firefox, and Safari. You are notified by e-mail when your materials are available. Detailed information about UCI Replay can be found online. FITI, the Faculty Instructional Technology Institute (formerly known as the Faculty Summer Institute) was held on June 25th-28th, 2001. The Institute is offered by the Division of Undergraduate Education (DUE) with instructional and funding assistance from NACS. 13 faculty and instructional staff representing 9 campus departments were given presentations on the use of instructional technology in the classroom. Skills developed included how to create and enhance course Web pages and Powerpoint presentations, and how to incorporate images and other electronic media into instructional materials. FITI featured 3 days of training June 25th, 26th and 28th. June 27th was a practice day which gave faculty time to work on specific projects with consultants on hand. The new format was well received by this year’s participants.